We take pride in our ability to provide you with the highest quality dental treatment in a warm and caring environment. Our staff works as a team. Each individual staff member has specific responsibility, which required considerable training and experience. We want you to have confidence in them and let them serve you fully. 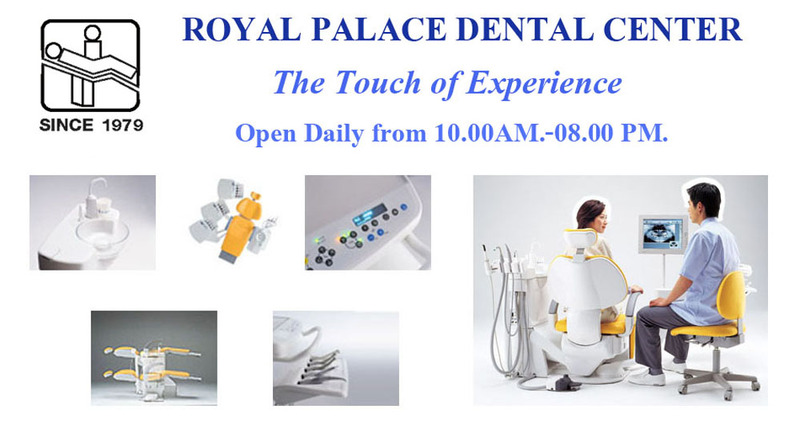 Our mission is to provide the very best dental treatment using state of the art of instruments and equipments all with a reasonable price middle of the best location in town. "We practice the highest level of the sterilization and cleanliness procedures found in modern dental offices today"
Dental Pattaya, Pattaya Denta Implant, Teeth Whitening Pattaya, Dentist Pattaya, Pattaya Dental Thailand, Pattaya Dental Clinic, Pattaya Veneer, Dental Crown, Dental Bridge, Dental Inlay, Dental Onlay, Denture, Cosmetic Filling, Endodontic Treatment, Periodontal Teratment, Tooth Whitening Pattaya, Dental Prophylaxis, Dental Cleaning, Gum Desease Treatment, Root canal Treatment, Cleaning.